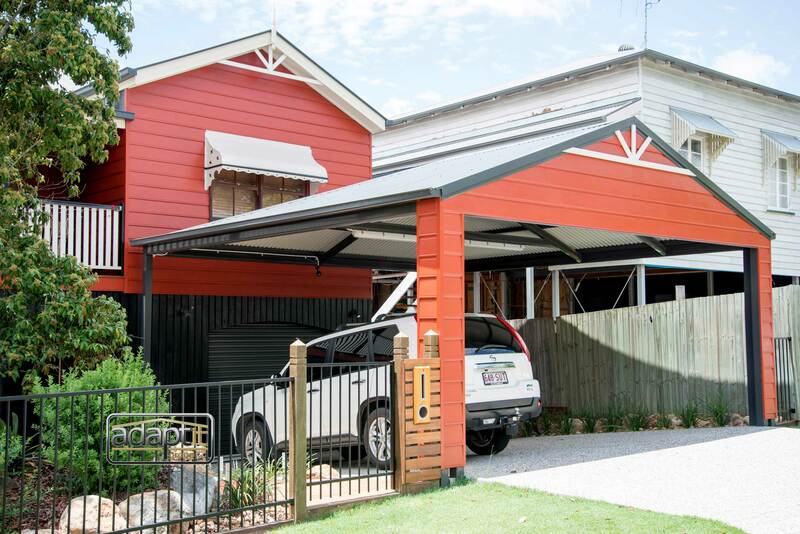 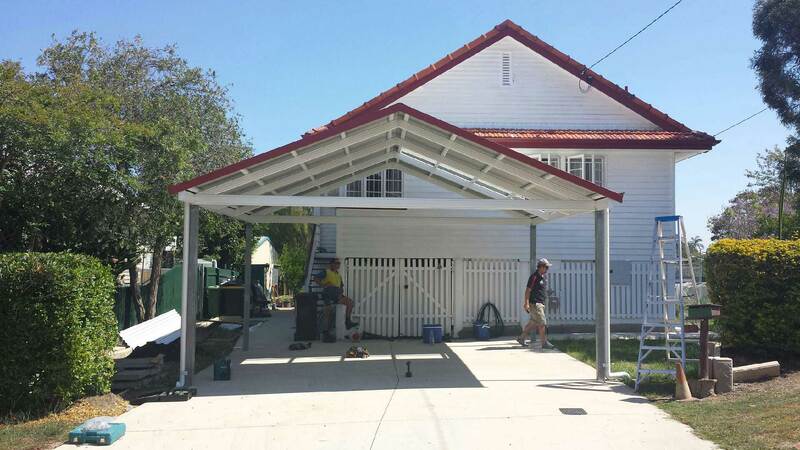 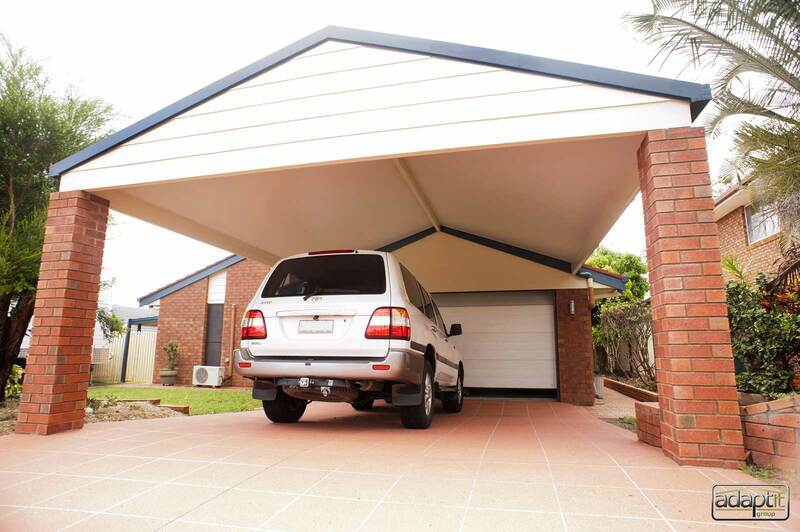 The decision on your best Carport design option is an important one. 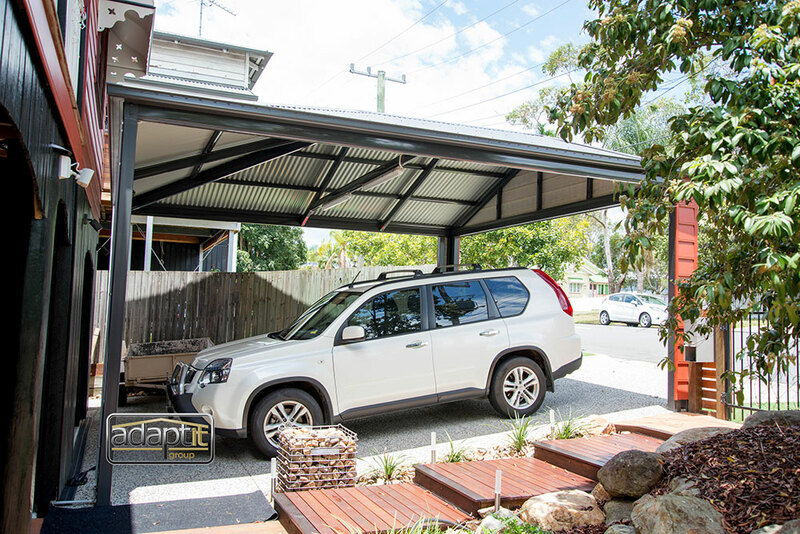 A gable design can be used to match a house roof pitch, or to create a feature at the front of the home. 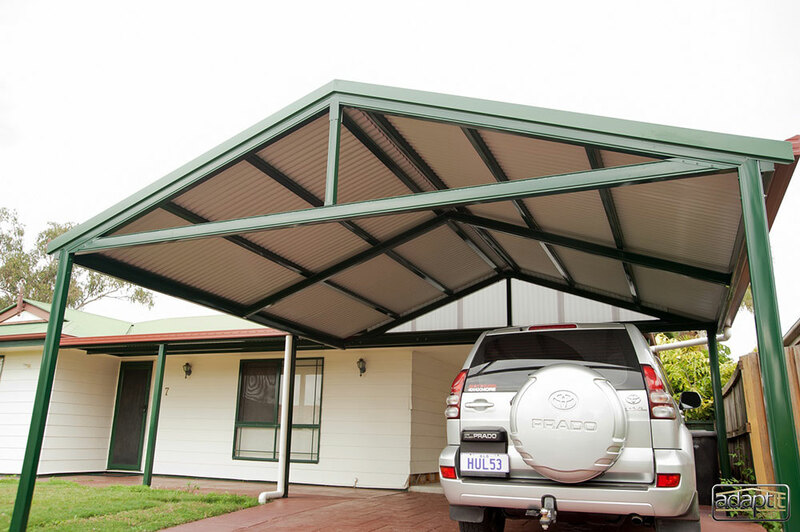 With a gable roof, it is imperative to match the house roof colour and/or material. 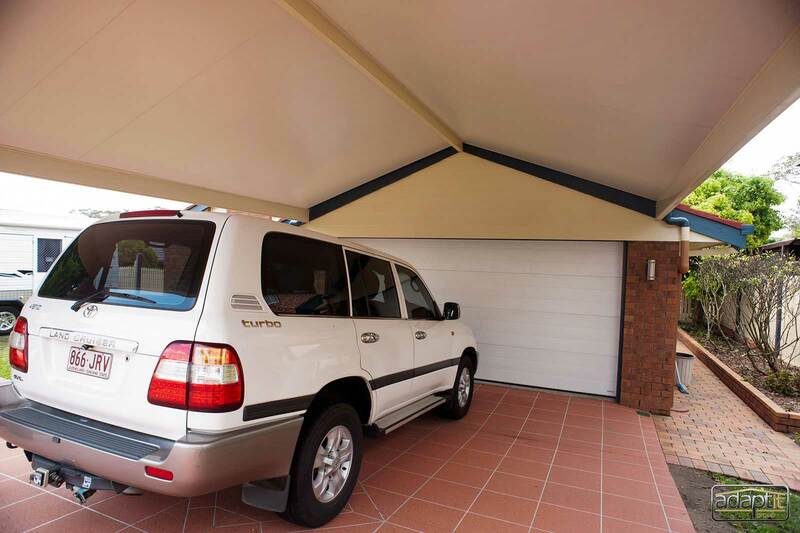 Our Gable Carports can be built with Insulated Roofing, or single skin sheets like Corro or Stratco Outback in colours to match. 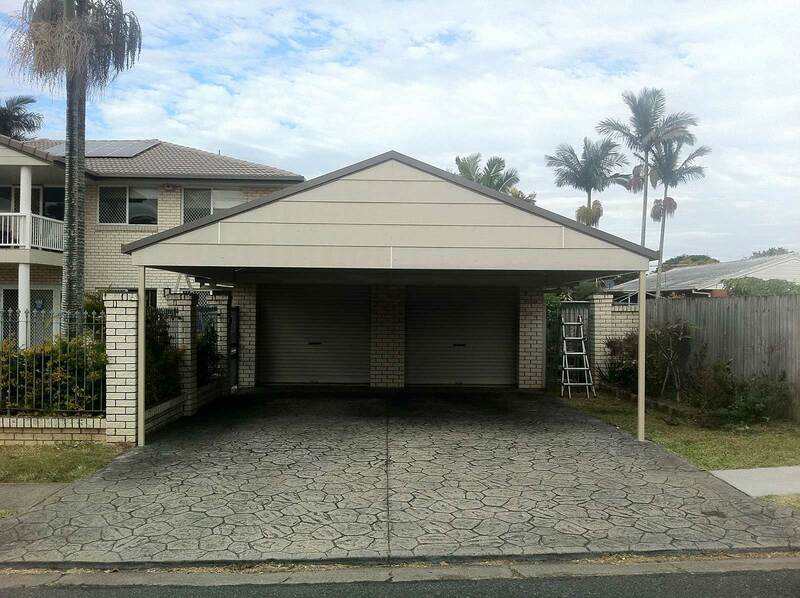 We can install a gable infill at the front to help with weather protection and to ensure it looks the same as your house wall/gable infills. 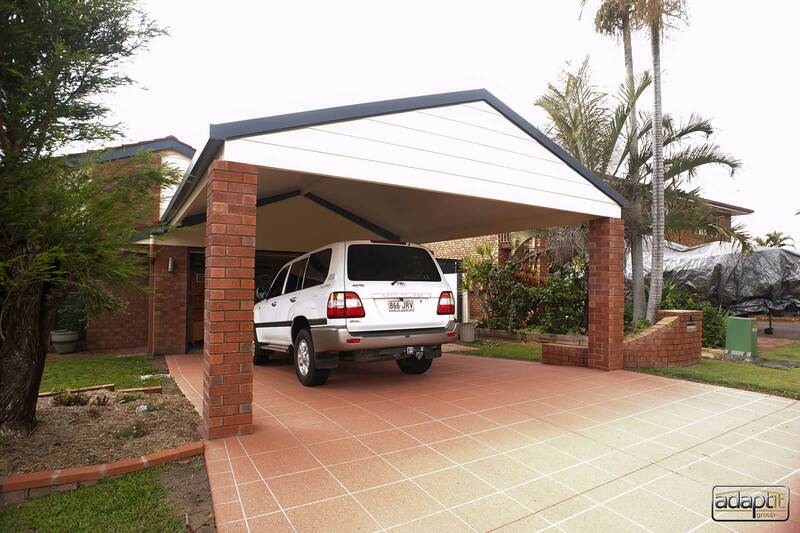 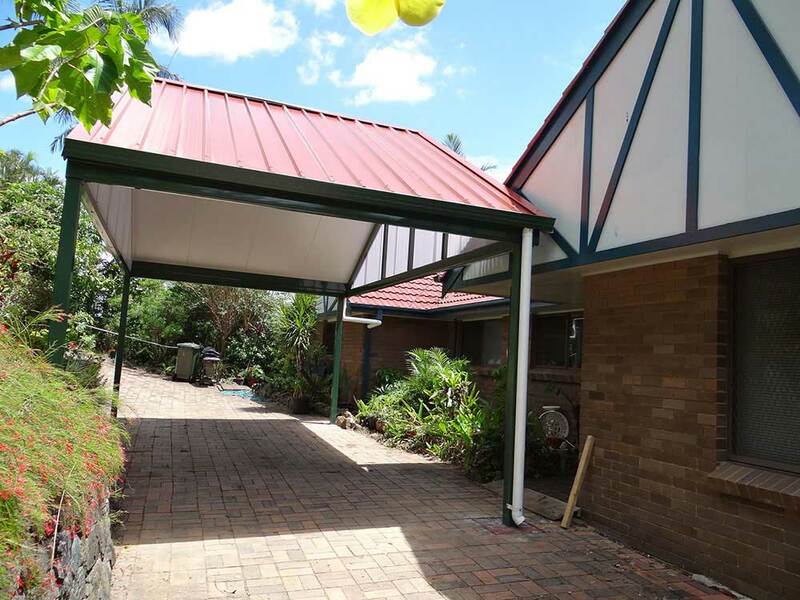 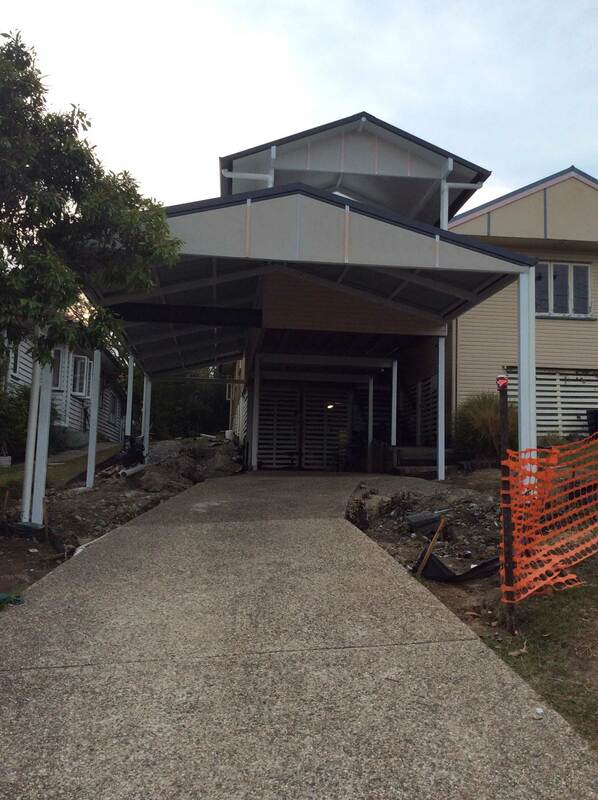 Speak with our friendly design team to ensure the Carport looks like it was ‘always there’.